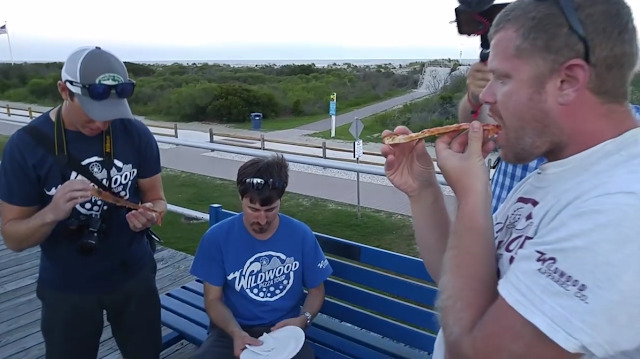 Last Friday, August 3, our friends from the Wildwood Pizza Tour conducted their 12th annual marathon taste test of every "legitimate" pizza place on the Boardwalk. This year, slices were sampled at 25 different locations! The winner? It was none other than Mack's Pizza, taking home top honors for the third time (to go along with 10 finishes in the top 5). Check out the WPT's just-released 2018 Pizza Tour Results for this year's analysis, stats and additional rankings (best value slice, largest slice and... most controversial).